Affiliate managers wear many hats and are asked to manage many tasks on a daily basis. These include affiliate recruitment, affiliate activation, compliance policing, optimization, and communication. 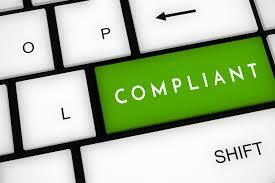 Compliance policing is often an overlooked task, but it should be taken as seriously as the rest. In terms of compliance policing, paid search and coupon policing are two of the main activities affiliate managers engage in on a daily basis, but what about FTC disclosure compliance? Why are Federal Trade Commission (FTC) disclosures important? Short answer, they aid online users in determining if the endorser (or reviewer) has a connection to the brand which they are talking about. The FTC can fine both the endorser and advertiser for not properly disclosing their relationship in a product review or sponsored post. The fine can be upwards of $11,000 per infraction. The FTC requires that endorsements use clear and unmistakable language and should be easily visible. They cannot and should not be hidden or tucked away. The last place a brand or blogger wants to be is on the FTC’s radar. Last month (September 7, 2017) the FTC updated their endorsement requirements, so the post today will discuss the updated best practices for affiliates, outlining how to comply with the FTC’s rules while marketing on social media and via blog posts. Sponsored Post: XYZ’s computer has helped to keep our business more organized. Note: I am using an affiliate link below which means that if you buy something via this post I may receive a commission. Use #Sponsored #Ad at the beginning of the Tweet. Using one of the above options is sufficient, but it is also strongly recommended that you tag the brand in question. Disclosures can be overlaid on images but should be easy to notice on the image(s) and clearly worded. There should be no confusion on whether it is a sponsored post or not. Also, making sure ample time is given to followers to view the image(s) and comprehend that it is a sponsored ad. Additionally, while disclosing that your social media post is sponsored does not have to be at the beginning of the post, the disclosure must be easily noticeable and understood. This is why, the beginning is, generally, a good place for it. This is a sponsored post that contains affiliate links. I may receive a commission if you purchase something mentioned in the below post. I receive(d) compensation in exchange for writing this review/post. This post contains affiliate links, which means I may receive a commission if you purchase something mentioned in this post. Recommended, but not required is to add a link to your self-hosted “full disclosure statement” page at the beginning of the post. The more transparent the post – the better it is for the blogger and the brand. Actively managing affiliates and influencers to ensure their compliance with the FTC disclosure requirements is an extremely important task for affiliate and influencer managers. Both the brand and the endorsers must be sure that the FTC disclosures are being complied with. We also recommend you read the FTC’s .com Disclosures document here. It should answer additional questions you may have.